Puerto Viejo de Talamanca (also known as Puerto Viejo de Limon) is located in the Talamanca canton, in the Limon province, southeast of Costa Rica, known as the Costa Rica South Caribbean. The inhabitants are a combination of Latino cultures, Afro-Caribbean (Jamaican descent) and indigenous Bribri, mostly from Costa Rica, with a good number of Europeans who have migrated to the region, turning this place into a lovely site for your vacation. It is a popular tourist destination in Costa Rica. Puerto Viejo has become one of the main attractions for many international surfers, who visit the area by the famous Salsa Brava waves. The Salsa Brava beach is a paradise for surfers; however, it is important to know that its waters have a very strong current, so it is not recommended for swimming; it is a beach for experienced surfers. However, if you are not a lover of surfing, this area has more quiet and beautiful beaches, Playa Chiquita, Playa Negra and Punta Uva, which are some of the most spectacular beaches of Costa Rica, because of its crystal clear waters and golden sands, which can be found between Puerto Viejo and Manzanillo road; without leaving aside its peaceful and relaxing atmosphere. This zone has a variety of bars, discos, hotels and restaurants for all tastes and budgets; also, because of the wide variety of people with different nationalities, there are many restaurants offering multicultural dishes; but don?t forget to taste the wonderful and exotic Caribbean food. This is an excellent point to visit when you travel from Costa Rica to the border of Panama, in Sixaola; it is a very popular rest stop among people travelling to or from Bocas del Toro. There are many transportation options to travel to this beautiful Caribbean zone. This service is definitely the best option for your needs because they do not need to move to any bus terminal, the transportation will reach you at a hotel lobby or reception. If your hotel is outside of our route, we will tell you what the closest hotel in which we can offer the service is. Interbus offers shared service transportation to this beautiful area daily, from most hotels in the San José area, offering for your convenience, two departures; one in the morning around 07:30 am and the next in afternoon around 14: 45 hrs; the exact time of departure depends on the hotel where you are staying. Interbus offers comfortable air-conditioned minibuses to make your trip more enjoyable; Interbus doesn?t require a minimum of passengers to travel, but remember to book in advance the schedule according with your needs. It is important to identify your bus as there are two destinations called Puerto Viejo; you must take the Puerto Viejo Talamanca (also known as Puerto Viejo de Limon). You must to go to the Caribbean Terminal, there you can choose to travel from San Jose city to Limon down town, and then take another bus from Limon down town to Puerto Viejo; or you can take the direct service from San Jose to Puerto Viejo de Limon. You can choose to fly into this area. You can either choose to fly to Limon airport or the Sixaola airport, and the Sixaola airport is located near the border of Panama. The company responsible for providing this service is Nature Air. 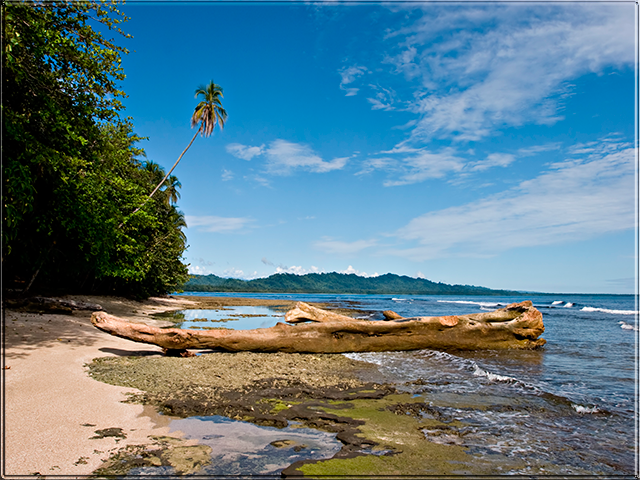 Puerto Viejo has many attractions, where you can participate in many activities. This area is known for its beautiful beaches with beautiful coral reefs where you can snorkel and dive, and so live with a variety of fish and animals in the water. You can also take horseback riding tours in the area, or you can choose to rent a bicycle or take a tour in the mountain and explore the area. You can also practice kayaking, boogie boarding and surfing. Surfing is a very important activity in the area, and Puerto Viejo has great beaches for surfing, from beginner to advanced, so we recommend Negra Beach. This beach is where beginners are sailing, and where you can find local instructors. 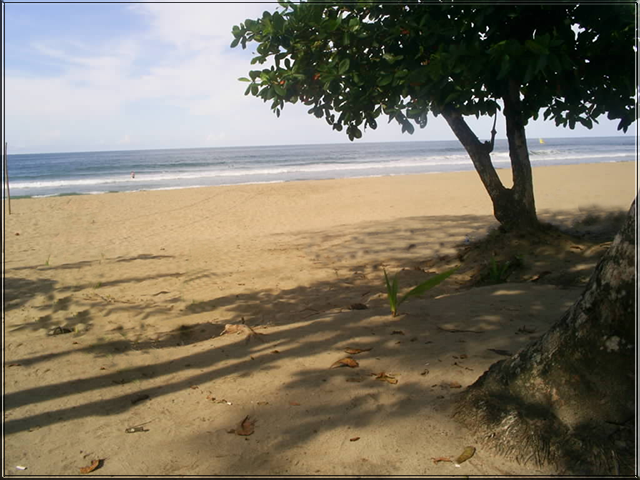 Cocles Beach is a great beach for surfing for intermediate and advanced level surfers. Here they often holding national surfing championship events. Salsa Brava is the place for advanced surfers. The best waves are from November to March, but remember to always ask locals about the sea conditions before entering to the water. These Caribbean beaches have something for everyone, both for surfers and for those seeking serenity and relaxation in the sun on golden sands. For those who enjoy nature, this destination has a great biodiversity of flora and fauna that surrounds this area, this place is characterized by staying away from huge complexes hotel and large cities. This charming area boasts many nearby attractions that you can visit such as the Jardín Botánico Finca La Isla is a complex that protects and has a lot of medicinal plants, fruit trees and flowers originating in Costa Rica. 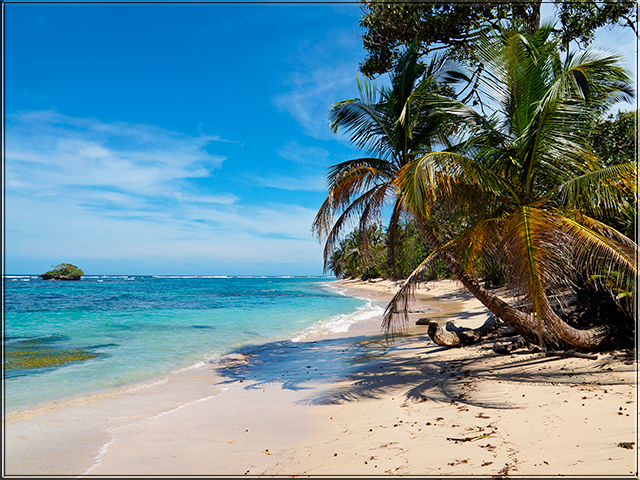 The Cahuita National Park, which is located 14 kilometres from Puerto Viejo, is a protected area where the tropical forest and coral reef ecosystems are protected. This park is inhabited by howler monkeys, raccoons, sloths, otters and colourful fish. 10 km south from Puerto Viejo is the Gandoca-Manzanillo Wildlife Refuge, created to protect the area from deforestation, and species such as turtles, manatees and various types of butterflies. In addition, you can visit La Ceiba Nature Reserve and the Jaguar Rescue Center; these places offer the visitors the chance to venture into the jungle to live and admire exotic animals. It is important to note that in this area, like in any other area that you visit, you should take safety precautions, always be aware of your belongings, do not transit lonely places, if you rent a car do not leave valuables in the vehicle, and do not carry with you large amounts of money. You shouldn?t forget that this is a tropical area, and you must try to minimize the number of mosquito bites; we recommend using repellent and / or sleeping under a mosquito net. The Dengue is present in this area, Dengue is a disease transmitted by some mosquitoes, and unfortunately there is no vaccine; but using repellent may counteract the mosquito bite. Be cautious and you can have the best vacation in Costa Rica.